Popular culture's recent emphasis on healthy eating has had an effect -- mostly good. People know they should eat more healthy foods and avoid loading up on the unhealthy type. They even have a pretty good idea of what's good for you and what isn't. But when it comes to actually eating the good and avoiding the bad, a new survey suggests that's where it gets tricky. When polling firm ORC International conducted a survey for a supplements maker, it found 60% of Americans said they believed they were eating a healthy diet. But when the survey takers delved into just what Americans were eating, they discovered that 62% were eating just one to two servings of fruits and vegetables daily, despite USDA recommendations of eating five or more servings daily. In fact, only 6% of consumers in the survey said they met the USDA recommendation of five or more servings of fruits and vegetables a day. "My experience consistently shows me that a large number of Americans live high-carb, high-sugar, caffeine-overloaded, stressed-out, no-exercise lives," said Dr. Tieraona Low Dog, M.D, an advocate of vitamin supplements in diets. "We may have good intentions when it comes to eating well, but the truth is that many of us fall short of an ideal diet." In recent years, there have been conflicting studies when it comes to vitamin supplements. Government health experts writing at Nutrition.gov say it's best to meet nutritional needs by eating a variety of the right foods. "In some cases, vitamin/mineral supplements or fortified foods may be useful for providing nutrients that may otherwise be eaten in less than recommended amounts," they write. "If you are already eating the recommended amount of a nutrient, you may not get any further health benefit from taking a supplement. In some cases, supplements and fortified foods may actually cause you to exceed safe levels of intake of nutrients." 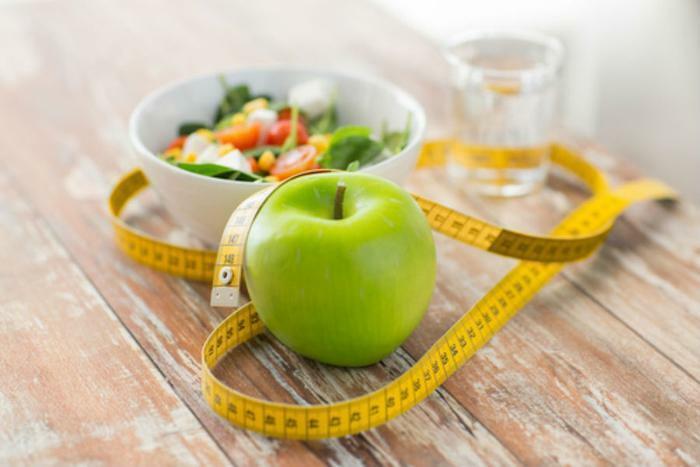 According to the National Heart, Lung and Blood Institute, a federal agency, a healthy eating plan is one that provides necessary nutrients while staying within a daily calorie goal. It reduces the risk of heart disease and other unhealthy conditions. What specifically should be on a healthy plate? Nutritionists suggest vegetables, fruits, whole grains, and fat-free or low-fat dairy. They also recommend plenty of protein from lean meats, poultry, fish, beans, eggs, and nuts. Consumers should also go easy on added salt and sugar and keep portion sizes reasonable.